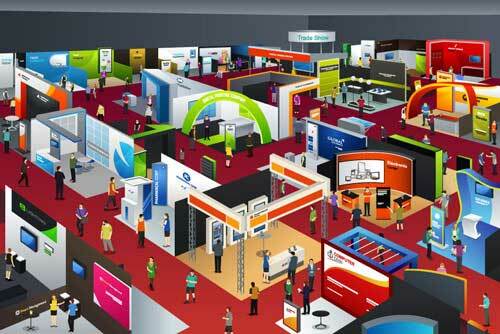 Trade Shows: Why Are They Important For Your Business? Marketing is a game changer for the performance of any business. Other factors hold their importance too but promotion and outreach to the target audience depend directly on your marketing strategy. Brand marketing has become quite easy, given the platforms available today. Small businessmen, however, fail to realize that as much as marketing is decisive for a business’ performance, it is equally important to prioritize among different marketing platforms to target the relevant audience with maximum efficiency. For example, startup owners usually try to maintain a concrete web and social media presence of their brand, but they do not hold trade show marketing worthy of the investment that can go in it. If you are one such businessman, here is why you might want to reconsider your marketing preferences. When you devise a marketing plan that is targeted toward the general public, like through social media or website, most of your outreach is wasted because a large proportion of the public that comes across your advertisement is just not part of your potential customer base. Contrary to this, a properly designed exhibit at a trade show targets an audience that is present at the show looking for products like yours. It also provides an opportunity to interact face to face with the customers and clearly convey what your company is about. This kind of marketing can prove to be more efficient, particularly, if the consumer base of your targeted market is a relatively small proportion of general audience. A trade fair presence provides a massive boost in brand awareness. It also assures the consumers that your company is large enough to maintain its presence at leading events and exhibitions. However, it is important to have a trade show display that attracts the right audience. ExpoMarketing is a great option to build custom displays for your brand. A custom display maintains brand’s identity and is best to convey your brand’s objectives. Moreover, a professional looking display that goes best with your brand has a lasting impact on the potential customers. A trade show is expected to attract other businesses working in the same industry, including the ones that provide similar products and services as yours. The exhibit, hence, brings all your competitors on a single platform. This makes it easier to gauge your standing in the market and realize your shortcomings. Read More: How to OutRank Your Online Competitors? You can ascertain the edge your bigger rivals have over you so that you can make changes in your products or strategies to compensate for the negative impact this competition might be causing on your performance. Building a strong footing is all about contacts. When you start out as a small business, odds are that you cannot (and should not) work independently. Your game plan should ideally include outsourcing of all the inputs and services that can be outsourced. As trade shows are usually targeted toward a particular industry, all kinds of companies and relevant professionals are present there offering products and services that you might be looking to outsource for your business. This makes it easier to assess different companies and their products and prices according to your need. Apart from this, you can also expect to find candidates for partnerships and a bunch of investors.